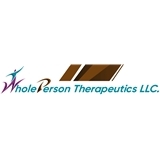 WholePerson Therapeutics LLC (Shelton) - Book Appointment Online! WholePerson Therapeutics, LLC provides outpatient physical health & rehabilitation treatments to individuals experiencing occupational limitations at work, play or home. Our goal is to facilitate physical comfort during any activity. We are proud of our whole-body approach to health which includes physical therapy or rehabilitation, occupational therapy, nutrition intake, physical fitness, weight management, chronic and acute condition management and pain management. Barbara is passionate about her work and being able to help those coming to her hurting. Her treatment for my back and neck very helpful. Her follow up was thoughtful and thorough. I highly recommend Whole Life Therapudics.